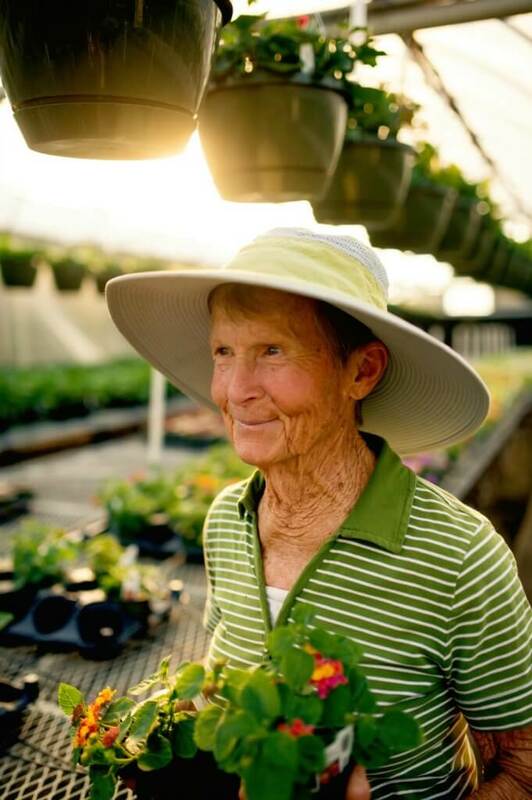 Here at Fairview Garden Center we have our own “trial garden” where Fairview Founder Jo Ann Dewar plants the newest varieties of annuals. NOT your traditional sunflower! These beauties provide nonstop blooming for flowers all season. Both the Sunfinity Sunflower and Torch Mexican Sunflower are vigorous growers to garden heights of 36-48” tall and 24-36” wide. They love the sun and attract pollinators of all types. Torch Tithonia is a great nectar flower for butterflies including Monarchs. 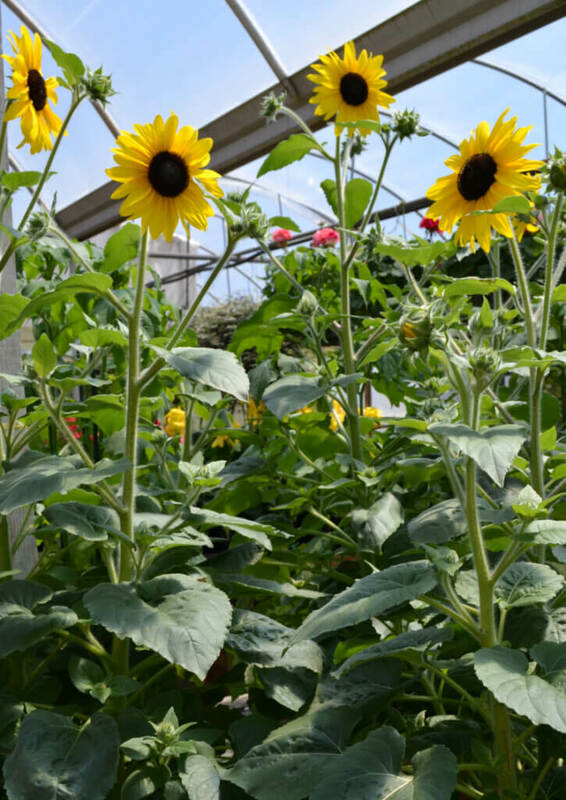 The birds love the Helianthus Sunifinity Sunflower and we noticed lots of yellow finches hiding among the vibrant golden blooms. A new line of compact growing and profuse blooming geranium! 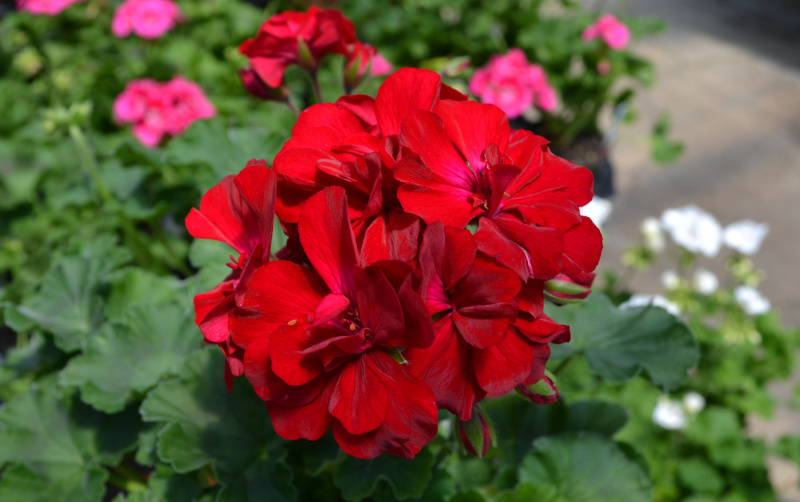 Moxie Geraniums are available in an array of colors but some of our favorites are the Deep Rose and Dark Red. The small growth habit and great branching structure make this Geranium a great addition to container gardens or hanging baskets. This plant is like a scratch and sniff sticker for your garden! Take a whif of the foliage.. . it really smells like popcorn. This seasonal annual has vibrant yellow blooms from late spring through fall. 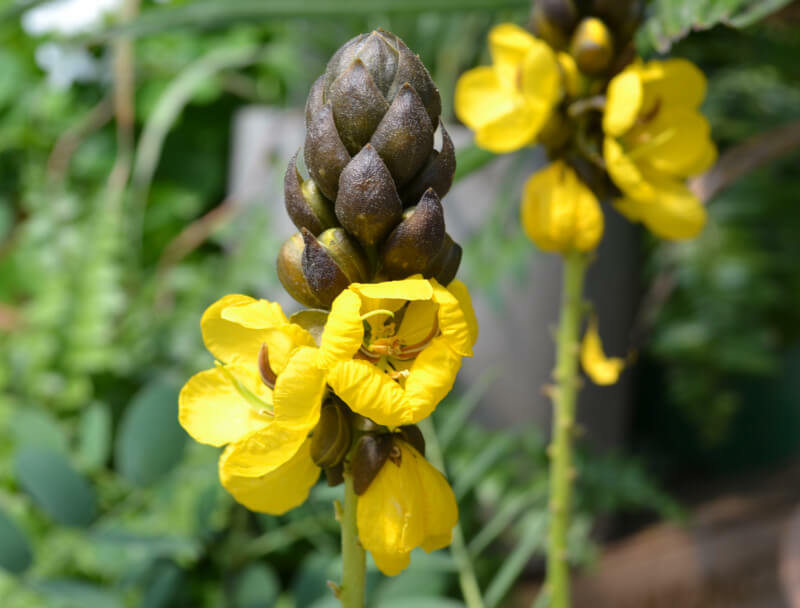 The Popcorn Cassia can grow to 2-3’ tall in full sun conditions. The Popcorn Plant likes moist but well-drained soil. 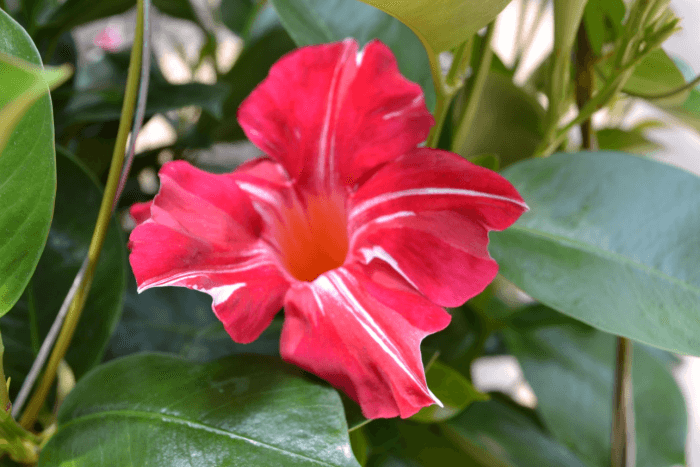 A traditional Mandevilla vine with variegated blooms! The Stars and Stripes Mandevilla boasts large red blooms with white stripes. This lovely tropical vine will be an eye-opener in any garden. With the support of a trellis or fence Mandevilla vines can grow 6+ feet tall in a season. Mandevilla vines flower best in full sun and attract hummingbirds and other pollinators. Every flower garden needs it’s fair share of foliage and contrast. 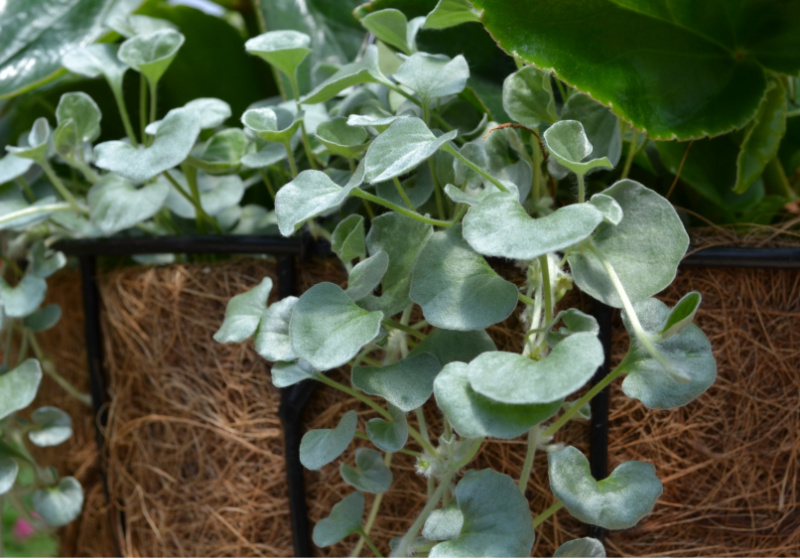 One of our favorite plants to add drama to containers and hanging baskets is Dichondra ‘Silver Falls’. This ornamental plant features silver leaves that are round in shape. Dichondra is low maintenance and is both heat and drought tolerant once established. When planted in the garden, Dichondra can spread up to 3-4′. Notable mention when considering other trailers; We love Sedum and Silver Cascade Artemesia. Beautiful blooming and heat loving petunias with a more compact and mounding growth habit. Potunia Petunias are an excellent choice for container gardens and hanging baskets but can also be used in annual landscape borders. 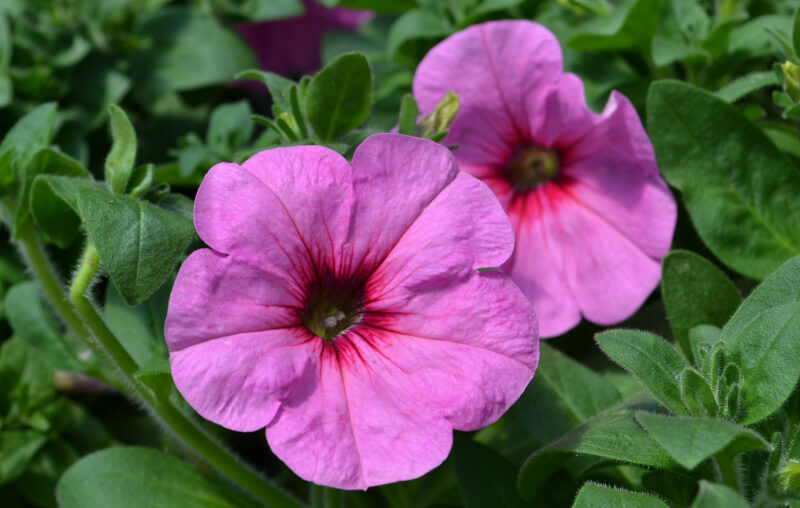 The petunias come in a variety of colors from shades of yellow to pink to purple to white. Space at about 12″ apart and Potunias can grow up to 20″ in height. 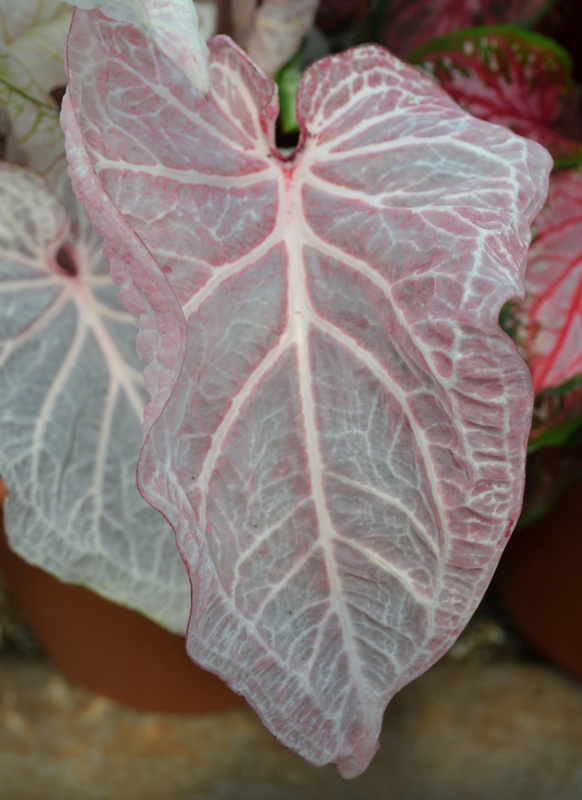 Caladiums are always a favorite for their striking tropical-like foliage. This year we have several new varieties that boast bigger leaves and brighter colors. A big pop of color for the sun or shade. These begonias provide ceaseless seasonal color with vibrant flowers contrasting with dark green foliage. These hybrid Begonias look great planted alone in a pot or provide fantastic interest when combined in a container or landscape. I’conia Begonias are available in a variety of warm-tone bloom colors (oranges, reds, yellows). It’s hard to go wrong with a canna. A definite thriller in the landscape or container with large leaves and tall, bright blooms. 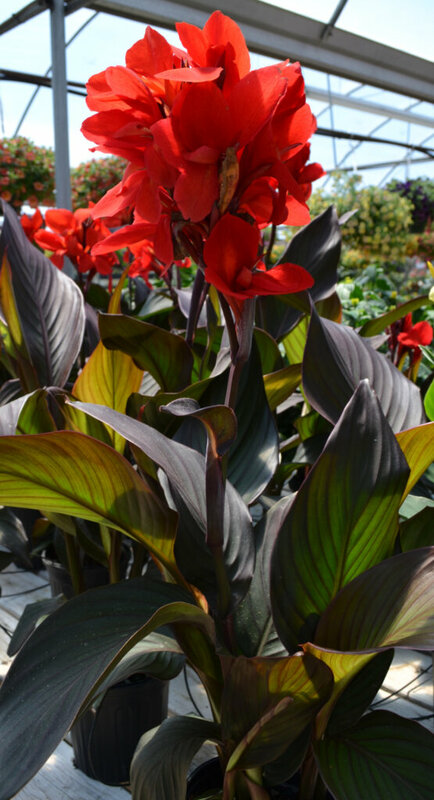 The bronze leaf canna keeps it’s foliage color throughout the season which helps make the red blooms really stand out in the garden. Cannas are great for creating a quick tropical oasis and perform well at the back of colorful borders. 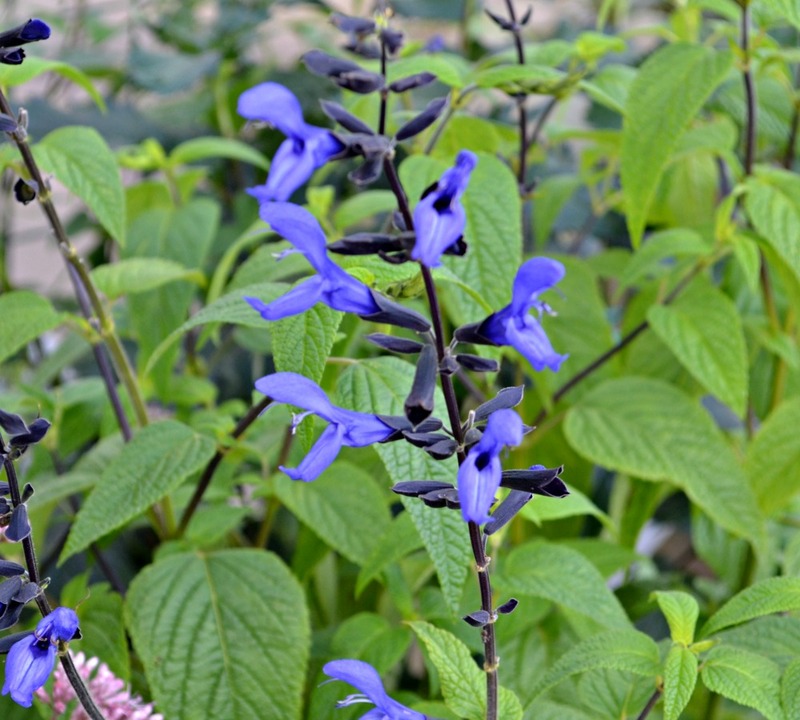 Striking blue flower spikes accent the green foliage on Mystic Spires Salvia. This tall blooming plant is excellent for containers and garden beds. When planted in full sun Mystic Spires Salvia can reach up to 24″ tall and attract hummingbirds and other pollinators to the garden. Be sure to visit our greenhouse and or display garden to see how well these beauties look throughout the year. Also keep in mind that these favorites often sell out fast! Be sure to stop by soon to snag a beauty for your garden. If you have any questions feel free to give us a call at anytime, we are here to help.